Advices & Queries 37 by John Hall. #37 Are you honest and truthful in all you say and do? Do you maintain strict integrity in business transactions and in your dealings with individuals and organisations? Do you use money and information entrusted to you with discretion and responsibility? Taking oaths implies a double standard of truth; in choosing to affirm instead, be aware of the claim to integrity that you are making. 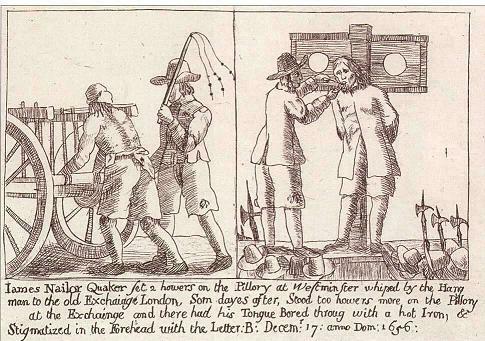 As a result of sticking to refusing to swear oaths, Friends suffered terribly not least because an easy way to get at Quakers who would not do as they were expected was to try to make them swear an oath of allegiance under the Quaker Act of 1662. Failure to do so would often result in imprisonment. Eventually, the right to make an affirmation instead of swearing an oath became acceptable because of the Act of 1695 that said that the Solemne Affirmation & Declaration of the People called Quakers shall be accepted instead of an Oath in the usual Forme. This followed representations to William III by representatives of Meeting for Sufferings who pointed out that in Holland the king’s predecessors had granted that right to the Mennonites. However, it was not until 1722 that a form of words was devised which Friends found acceptable. Now Friends, and many others, routinely affirm. However, earlier Friends’ justification for not swearing would probably not be accepted by most in the Society in the twenty-first century. Who among us would give specific words from the Bible as a determinate in the way we behave? Very, very few I would suggest. One cannot hide behind the Biblical justification for insisting on affirming, but must, as the Advice says, claim a routine integrity in all we say and do. The assumption of this Advice is that we are saying that we always tell the truth and we always maintain a strict integrity. That is a pretty high standard. 2012/07/31 in Advices & queries, Projects. ← ‘Whoosh!’ – is British Quakerism ready to take off? An informative interpretation, thank you. I fear I might be one of those “very very few” – having been brought up as a Quaker within a broader (mostly) Christian environment, where Bible stories and readings were a regular part of my upbringing. And this was within the past 30 years. I welcome the breadth of views and cultural / religious backgrounds to be found within the SoF – including those with non-theist views. However I hope the SoF can still afford room for those of us who value the wisdom to be found within the Bible, without any implication that we must be bonkers or freaks for doing so. 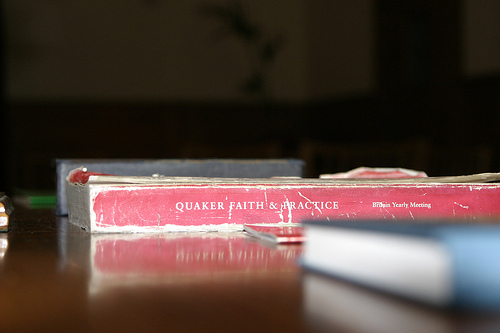 But then again, that was the mantle that the truly radical early Quakers carried! Speaking as a not-very-active Quaker and Christian, but someone for whom integrity is always at front of my mind, I would urge Ffriends to dip into the Bible – and other scriptures – for fear of losing babies with bathwater. Interesting website, keep up the good work. I agree. The Bible is undoubtedly an extremely important source. I find the idea of a developing revelation a very appealing theology.